This fit perfectly in the case. I connected CPU power cable to motherboard before CPU and CPU fan, and connected it to PSU once motherboard was already installed to the case. Edit: Initially I claimed "The motherboard power cable was almost too short, but it turned out to be just the right length". 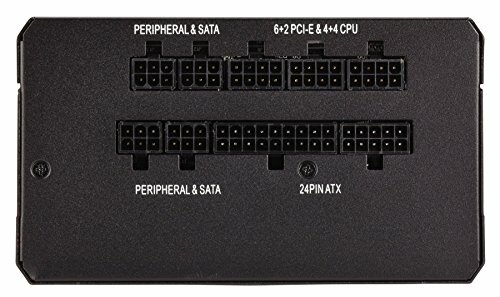 After I fixed the power switch wire issue (see case review) I used better route for the motherboard power, and the cable was not short at all. Solid, well-constructed, modular. It is a great PSU. I couldn't recommend it more! Corsair quality is very impressive. 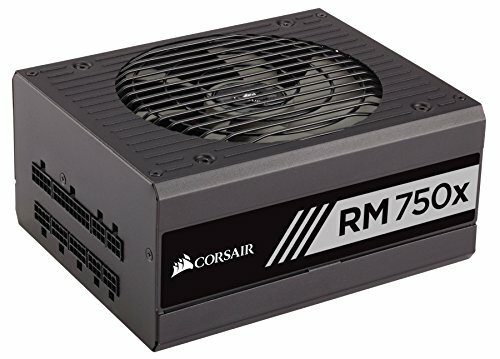 New PSU from Corsair. Silent. Goes ON with a click. Goes OFF with a click. I will give it 5 stars but only time will tell if it's really quality unit or not. 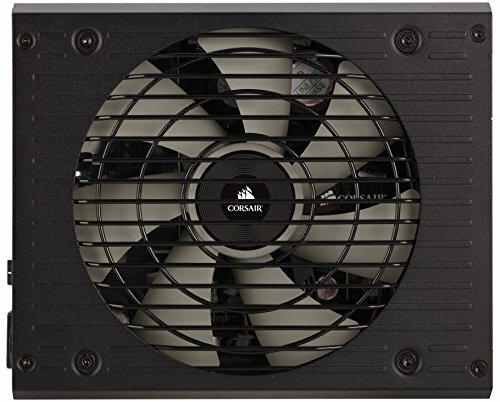 Seems to be a fan favorite on PCPP and can’t go wrong with Corsair. 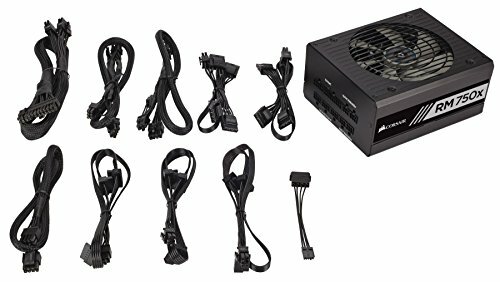 Figured I would need a 750W PSU to give me comfortable room for overclocking my parts. 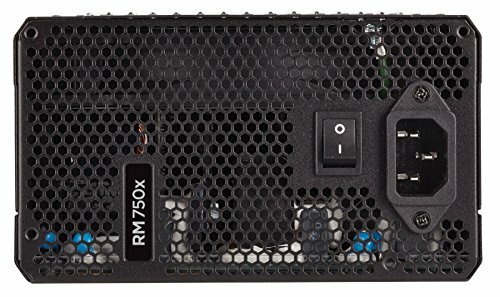 This is newest version of the RM 750x and it ended up being cheaper than the older version – seemed like a killer deal. While I didn’t end up using most of the cables that came with the PSU, they are of excellent quality. Got this thing with a best buy gift card and I am very pleased with it. A great power supply for anyone building a high end system, the fan is whisper quiet, the cables are sleeved and black, and the efficiency is close to that of an 80+ platinum unit. Would recommend for anyone who wants their system to be powered by a reliable unit. Went with something with good build quality and reliability in the long term. It just looks great in my build and does the job well. Who needs the RMi series? Solid power for the money. A truly great PSu. Almost silent all the time. 2x EPS connectors. Plenty of power, and very well reviewed by Jonny Guru. In the UK these are much cheaper than the EVGA units with similar spec.